I love this time of year when it starts to get cold and the style of some of our dishes start to have that hearty, warm late fall and winter feel. 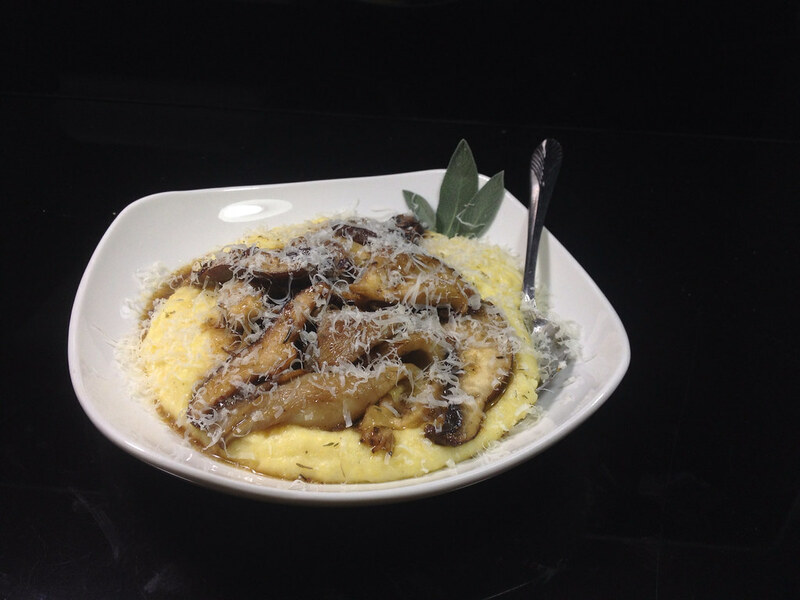 On special this week, we have a great polenta and mushroom dish. It is served as a side, but enough for a meal. Only $9.00. First, we start with a creamy imported Italian cornmeal polenta. We saute and caramelize fresh oyster, shitake, portobello and button mushrooms and add them to a classic ragu sauce. The polenta is then topped with this mixture along with freshly grated regianno parmesan. While I am very far from a being a vegetarian, sometimes it is actually nice to skip the meat... especially when a dish is this hearty. You don't need meat. This dish is one of my all-time favorites. Pair it with one of our simple salads and you have a great meal!